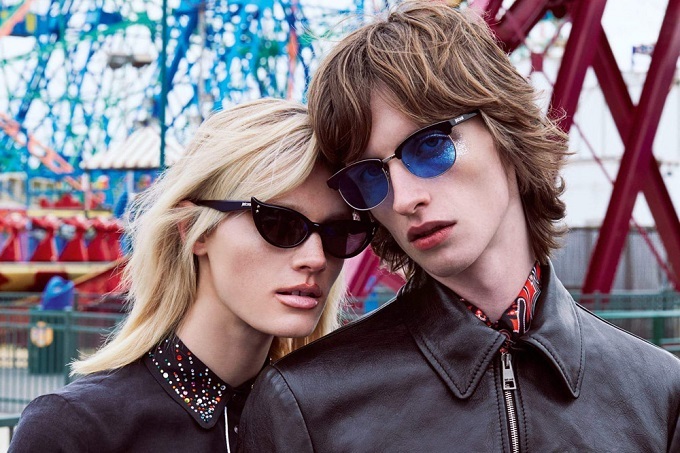 Just Cavalli heads to New York for its fall-winter 2016 campaign, traveling to Coney Island. The Italian brand sets a fun mood for the season, collaborating with photographer Sebastian Faena. Creative director, Peter Dundas’ youthful styles get some wear as models Miles McMillan and Benno Bulang take in the sights. Sporting leather biker jackets, leopard print fashions and skinny jeans, Miles and Benno are joined by Leila Goldkuhl, Lili Sumner and Lina Hoss.